I used to have this problem. Had it for a long time. I remember waking up every morning annoyed as hell and wondering what there was that could possibly make my cat give me a break in the morning. I remember Googling madly, pretty big bags under my eyes, into the wee hours of the morning, hoping to find a solution that would just plain work. I remember trying a lot of things to combat the slew of explanations the internet offered me; and yes, there are no short of explanations as to why kitty might be being fussy that the internet gives. Still nothing worked. Not for me. I haven’t had this issue in years. Avery’s grown up now, he only really used to bother to wake me up when he was a kitten. But it wasn’t just because he was a kitten that he used to wake me up in the morning. If you’re being woken up by your cat in the morning and you’ve gone through ruling out the massive slew of options as I did, likely, kitty’s waking you up in the morning is because of one thing. 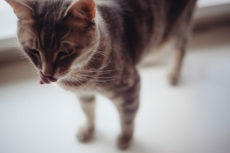 Your cat might be sick! Your cat is bored and wants to play. 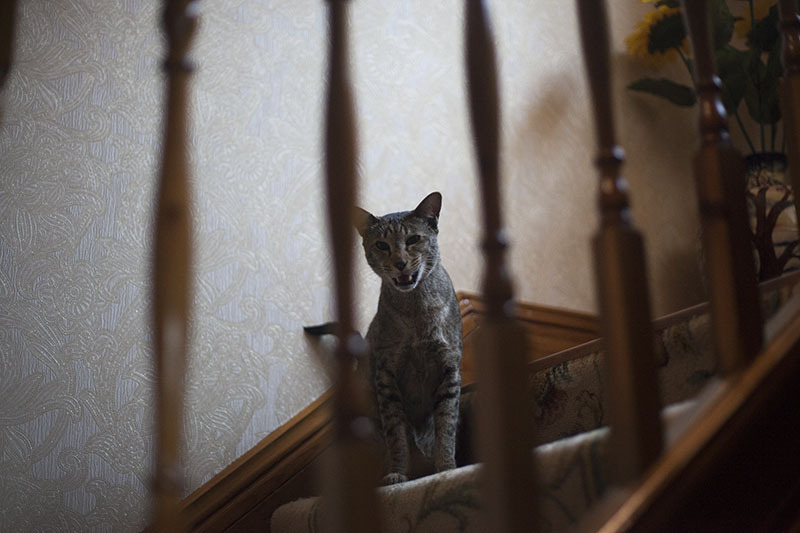 Your cat is hyper – has had a surge of energy – and wants to play. Your cat is attention starved. Even the negative attention you give him/her by yelling to let you get some rest is all your cat really wanted. Your cat is doing it out of habit. It’s nothing more than a routine. 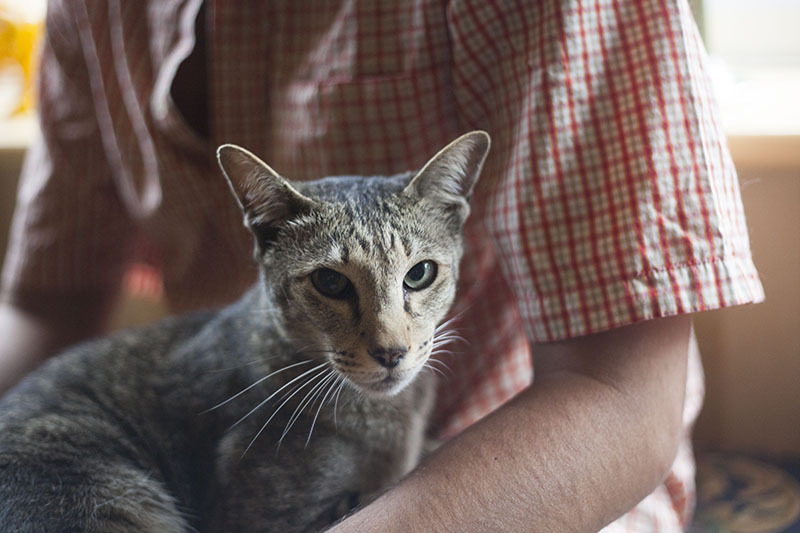 Your cat will wake you up out of habit even on a weekend – as a habit is a habit after all. Your cat thinks it can get an easy meal. You give your cat food to shut it up every time it meows – why wouldn’t it wake you up to eat? Your cat is just as hungry in the morning as you are. That gives you a huge lot of places to start. So what should you do now? 1. Take your cat to the vet! I know you likely do this regularly already, but if you’re cat is whining a lot and you haven’t told your vet – do that now. Make sure you tell your vet any and all information that might be relevant, as there are a lot of health issues that it could be. Don’t assume your cat isn’t sick because you’ve Googled a couple things and figured your cat is probably not whining for health reasons. 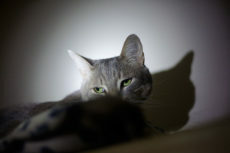 Probably is not good enough when it comes to your health, so why should it be when it comes to your cat’s? Get kitty checked out. Let the vet decide whether there could be health issues. Great, ruled that out? Onto #2! Cats actually need around 20-30 minutes of playtime a day to stay fit and healthy, not only because they need to get in their exercise for the day, but also because they have biological prey drives that they need to relieve to stay healthy. 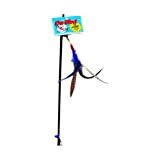 It’s natural for cats to get hyper for part of the day and ask you to play, though if you have a particularly hyper cat, you may want to look into buying a few high-energy exercise toys like the Go-Cat Da Bird Feather Wand Toy so your cat’s playtime sessions are more intensive and actually use up all that pent-up energy. You definitely don’t need to always be the one to play with your cat, either. If your cat is willing to play with cat toys on his or her own every once in a while, you can do your best to grab as many varieties of these self-play cat toys as you can. 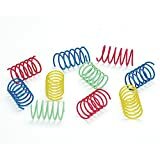 You’d be surprised how even the laziest cat can really take to some of these. My lazy Avery? 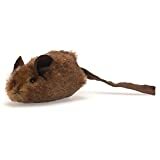 Obsessed with electronic sound mouse toys that make a little squeak when he pokes them, as well as cat springs, like Ethical Pet Cat Spring Toys, which are amazing. 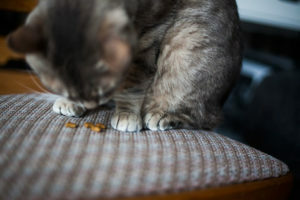 These self-play types of cat toys also work wonderfully well for pet owners who are gone for long hours to work, but want to make sure their cats can play in their absence if they want to. 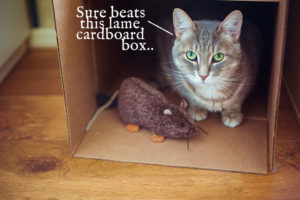 It can be hard to engage a cat, especially if you have a lazy one at that, but it’s got to be done because if kitty isn’t getting exercise, well that’s absolutely no good for his or her health. Try to encourage your cat to play using these techniques. 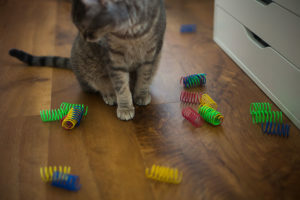 Try new toys, try whatever you can to make play time with kitty easy and fun for both you and your cat – don’t give up. But of course, if you get to the point where kitty’s getting enough play time, and you try to increase play time throughout the day and your cat is not having any of it, move on to try the next thing. 3. Make sure your cat is stimulated. Boredom is a killer. Well, not really, but it feels like it. 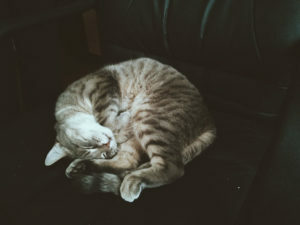 You hate boredom, why should your cat be any different? 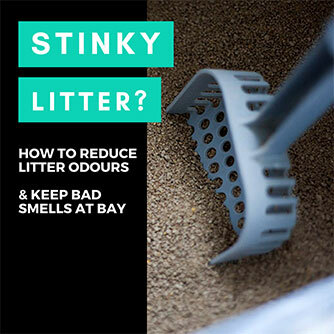 Make sure there’s plenty for a cat to do around your house. Add bird feeders so your cat can bird watch (ones that stick to the window are amazing for that). 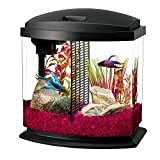 Maybe even a closed of fish tank so that your cat always has something else interesting to watch. Put in a crazy cat tree, make an awesome cat wall out of jumping shelves and cat climbers for your cat to have fun on – make sure boredom is unlikely. Here’s a list of things to try to keep your cat stimulated/entertained throughout the day. Fixed all the potential boredom issues? Okay, on to the next thing then. 4. Give kitty plenty of attention throughout the day. 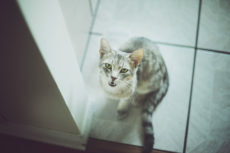 I really don’t think you’re starving your cat of affection – after all you’re sitting here reading an article trying to help your kitty out, but either way, you’ve gotta rule this out by giving your kitty even more attention just to confirm this isn’t the issue. Pet kitty, spend time with kitty, if you’re at work all day, have someone cat sit for part of it to see if that fixes things. Unfortunately, I don’t think there’s much you can do about numbers 5-8; correct me if I’m wrong. But if you’ve done everything else and gotten to the point where you’re still stuck and kitty is still crying all morning, proceed to the next section. Great. So now you’ve ruled out a bunch of options, tried whatever you could to combat everything the internet says it might be. Made especially sure it’s not a health issue or an exercise or boredom issue. What’s left? Well there’s one thing that was technically not on that first list of reasons of why your cat might be waking you up every morning. The one thing it most likely is at this point – after you’ve ruled out everything else. That’s when you feed your cat. If you feed your cat in the morning, chances are really high your cat is going to wake you up in the morning. 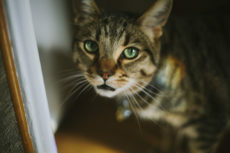 If you try to wait an hour or two before feeding your cat, you have a much better chance of not being woken up by your cat, but if you feed your cat right when you wake up and your cat begins to associate you waking up with you filling food bowls – you’re in for some serious trouble. Why? Not only will your cat wake you up every day, but often, your cat may also start waking you up earlier and earlier until you’re waking up at 8 AM, then 7, then 5, then 3! You haven’t got a chance at that rate! 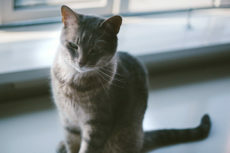 Some will advise getting an automatic timed pet feeder so your cat can beg the feeder instead of you. This may actually work out. Others will advise free feeding. But this, let’s be completely honest, is the lead reason why cat obesity is skyrocketing these days. Which means health problems. So free feeding should be off the table completely. Don’t feed your cat in the morning! Yes, that’s it. Yes, I mean it. Wake up at 10? Wait until noon; feed your cat at lunchtime. Need to leave the house early? Wake up a couple hours before you have to feed kitty so that your cat no longer associates you waking up with yummy breakfast, and thus stops “encouraging” you to get out of bed with plenty of meows. Your cat will likely whine for at least some time before it gets fed. Maybe today it’s for half an hour, maybe tomorrow, your cat magically decides to give you a break and only whines 5 minutes before feeding time. These instances are rare in my household, but when they happen, ah – that’s a good afternoon. 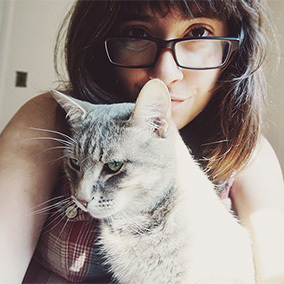 If you’re win-the-lottery-lucky, and have chanced upon being owned by the best cat on earth, even if you’re feeding your cat meals instead of free feeding, kitty may not whine at all! 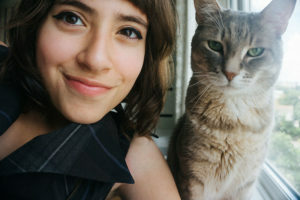 Please note – if you are one of these people (which chances are you’re not since you’re obviously reading this article), count yourself one of the most blessed cat-owned humans on the planet. You have a wonderful pet and should never let yourself forget your sheer luck at having found such a wondrous feline creature. But back to those of us who have normal and completely healthy whiny cats: don’t feed your cat right when you wake up in the morning. If you feed your cat twice, feed it once in the afternoon and once at night, or once when you come home after work and once again before bed. Or even just wake up a couple hours early and continue to feed your cat at regularly scheduled feeding time. Again, there will still be whining. But this time – it won’t wake you up. My Cat gets me up every night so he can go outside. After an hour or so (depending on the weather) he then cries outside my bedroom window to be let back in. We are always quiet in the morning and don’t bother Jan if we’re hungry. Well, we might go cuddle and purr but we are quiet. Well! Aren’t you just polite little kitties then! Very kind of you! My nine year old Trey, bless his heart wakes me because one of two water bowls upstairs is bone dry (falling asleep the night before with tv, I forget to check the bowl before I fall asleep). Keep in mine, he has a water bowl downstairs next to his food bowl. Which is next to the same set up for my second cat (two year old Trevor). I usually tell him it’s too early (which it is). Another trick I was told was to squirt him with a water bottle. But I generally will just get up and take care of this for him (if the bowl is empty, then he wants his water from the bathroom tap) because ever since I brought Trevor home, he hasn’t been a happy camper. Since he is not as out going as Trevor (Trey hides a lot), it’s the least I can do to give him some much needed attention (and one on one time). This is hilarious to me because of how accurately it depicts how picky cats are! One of two bowls is empty, but doesn’t want to drink from the other, would rather wake you up. Endearing (yet obviously annoying for we who have to be woken up!). Squirting has literally never helped me. I swear my cat was scared about twice from that and then gave up completely on caring about being sprayed with water. I know cats who hate water who this works for, but not mine. And yes, if it’s such an easy fix as filling a bowl if I’d forgotten to do it the night before, I agree with you, I’d get up and do it. Especially since feeding a cat will make him/her fatter, but extra water is no harm at all. If you’d really like to spoil your cat, you might want to look into getting him a cat water fountain – my mom did this because her cat didn’t drink enough, and since your cat prefers to drink from the tap, sounds like it’s up his alley. They take ages to need refilling, probably last 2-3 days, so if you forget to refill one night, you won’t be woken up in the morning anymore, too! Added perk ;).